Call 231-268-7237 to schedule your first appointment. Are you missing out on important conversations? Do you avoid going out in public because you can't understand people when they talk to you? If so, you should try Miracle-Ear®, the most recognized brand of hearing aids in Cheboygan, MI, and across the country. We'll administer a free hearing test* to see how our hearing aids can get you back in circulation. Miracle-Ear uses the latest innovations, such as GENIUS™ Technology, in all of its hearing aids. GENIUS™ Technology takes care of many of the problems that plague old-fashioned hearing aids. These hearing aids can automatically detect the dominant speech in the room and focus your hearing in that direction. The electronic windscreen automatically blocks out interference from wind noise. With Bluetooth®** technology, you can link your hearing aids wirelessly to any television, telephone, or personal computer. Your hearing aids will act as receivers and process the sounds directly to your ears. You don't have to constantly reach up and manually adjust these hearing aids. With our free smartphone app,† you can discreetly adjust them from your cellphone. Don't put off your decision any longer; visit our hearing aid center in Cheboygan today to discover and experience the Miracle-Ear® advantage. Our commitment to you and your hearing doesn't end when you purchase hearing aids. We offer free aftercare, including regular checkups of your hearing aids at any of our more than 1300 independently owned and operated locations nationwide. Stop by today to experience better living through better hearing. 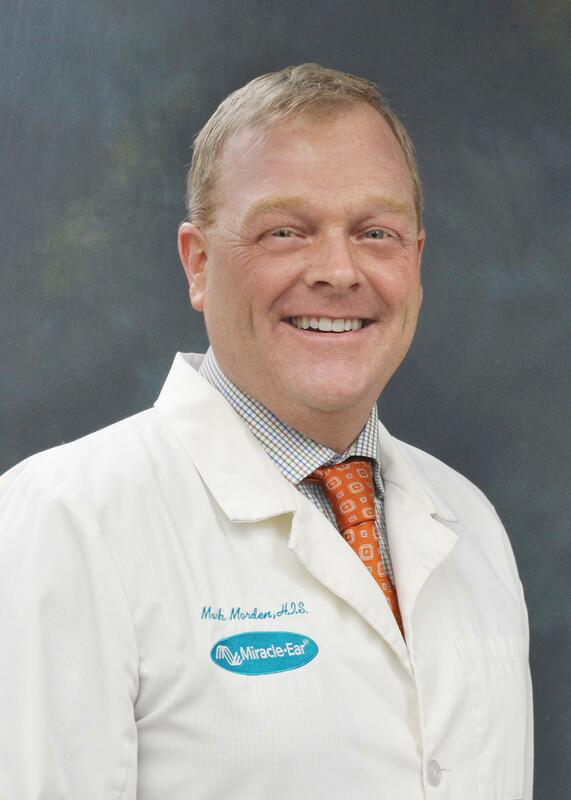 Mark Morden is a Hearing Instrument Specialist with 14 years in the Healthcare field. Mark attended Northwood University.He states his favorite part of being a Hearing Instrument Specialist is having the chance daily to improve someone's life for the better. My personal goal for each patient is to identify their biggest concerns and needs with getting hearing aids and educate them on the best choices and allow them to pick a solution that's appropriate for their hearing loss and lifestyle.